1/4"Dr. Impact Socket 1/4 "
1/4"Dr. Impact Socket 9/32 "
1/4"Dr. Impact Socket 5/16 "
1/4"Dr. Impact Socket 11/32 "
1/4"Dr. Impact Socket 3/8 "
1/4"Dr. Impact Socket 7/16 "
1/4"Dr. Impact Socket 1/2 "
1/4"Dr. Impact Socket 9/16 "
3/8"Dr. Impact Socket 1/4 "
3/8"Dr. Impact Socket 5/16 "
3/8"Dr. Impact Socket 3/8 "
3/8"Dr. Impact Socket 7/16 "
3/8"Dr. Impact Socket 1/2 "
3/8"Dr. Impact Socket 9/16 "
3/8"Dr. Impact Socket 5/8 "
3/8"Dr. Impact Socket 11/16 "
3/8"Dr. Impact Socket 3/4 "
3/8"Dr. Impact Socket 13/16 "
3/8"Dr. Impact Socket 7/8 "
3/8"Dr. Impact Socket 15/16 "
1/2"Dr. Impact Socket 5/16 "
1/2"Dr. Impact Socket 3/8 "
1/2"Dr. Impact Socket 7/16 "
1/2"Dr. Impact Socket 1/2 "
1/2"Dr. Impact Socket 9/16 "
1/2"Dr. Impact Socket 5/8 "
1/2"Dr. Impact Socket 11/16 "
1/2"Dr. Impact Socket 3/4 "
1/2"Dr. Impact Socket 13/16 "
1/2"Dr. Impact Socket 7/8 "
1/2"Dr. Impact Socket 15/16 "
3/4"Dr. Regular Impact Socket 1/2"
3/4"Dr. Regular Impact Socket 9/16"
3/4"Dr. Regular Impact Socket 5/8"
3/4"Dr. Regular Impact Socket 11/16"
3/4"Dr. Regular Impact Socket 3/4"
3/4"Dr. Regular Impact Socket 13/16"
3/4"Dr. Regular Impact Socket 7/8"
3/4"Dr. Regular Impact Socket 15/16"
3/4"Dr. Regular Impact Socket 1"
3/4"Dr. Regular Impact Socket 1-1/16"
3/4"Dr. Regular Impact Socket 1-1/8"
3/4"Dr. Regular Impact Socket 1-3/16"
3/4"Dr. Regular Impact Socket 1-1/4"
3/4"Dr. Regular Impact Socket 1-5/16"
3/4"Dr. Regular Impact Socket 1-3/8"
3/4"Dr. Regular Impact Socket 1-7/16"
3/4"Dr. Regular Impact Socket 1-1/2"
3/4"Dr. Regular Impact Socket 1-9/16"
3/4"Dr. Regular Impact Socket 1-5/8"
3/4"Dr. Regular Impact Socket 1-11/16"
3/4"Dr. Regular Impact Socket 1-3/4"
3/4"Dr. Regular Impact Socket 1-13/16"
3/4"Dr. Regular Impact Socket 1-7/8"
3/4"Dr. Regular Impact Socket 1-15/16"
3/4"Dr. Regular Impact Socket 2"
3/4"Dr. Regular Impact Socket 2-1/16"
3/4"Dr. Regular Impact Socket 2-1/8"
3/4"Dr. Regular Impact Socket 2-3/16"
3/4"Dr. Regular Impact Socket 2-1/4"
3/4"Dr. Regular Impact Socket 2-5/16"
3/4"Dr. Regular Impact Socket 2-3/8"
3/4"Dr. Regular Impact Socket 2-7/16"
3/4"Dr. Regular Impact Socket 2-1/2"
3/4"Dr. Regular Impact Socket 2-9/16"
3/4"Dr. Regular Impact Socket 2-5/8"
3/4"Dr. Regular Impact Socket 2-11/16"
3/4"Dr. 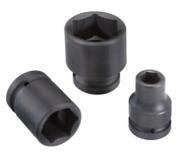 Regular Impact Socket 2-3/4"